It is important to know where Serbia is and where Kosovo is, said the Ambassador of the United States to Serbia, Kyle Scott. In an interview for TV Prva he spoke about president Aleksandar Vucic’s letter to his American counterpart Donald Trump. Previously Trump has sent a letter to Vucic. “I fully agree with Vucic; it is important for both sides to return to negotiations and to reach an comprehensive solution through dialogue. The taxes (imposed by Pristina against Belgrade) are an obstacle. In his letter, Trump said to Vucic that there is a real opportunity come up with a solution in the months to come; and that this opportunity should not be missed”, Scott said, as Tanjug news agency reported. Every kind of solution requires compromise from both sides. “It cannot be imposed from the outside, it must come from here; it should be a durable agreement, …which should be implemented. 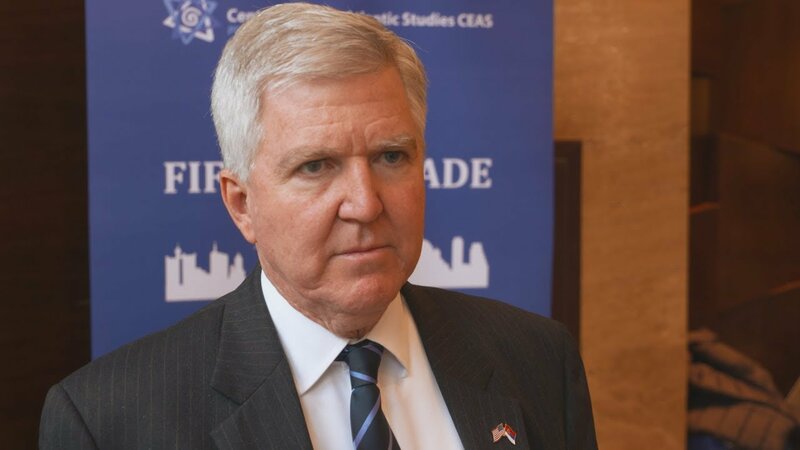 The resolution is in the interest of both Serbia, and Kosovo”, the American diplomat went on, adding that it seems that both sides want the dialogue. In Scott’s words, “the phrase ‘demarcation’ (of the borders) received too much attention. The borders must be clear and that is the element of a comprehensive agreement, along with the management over the resources, the rights of the Serb community, payment transactions, missing persons and war crimes. However, one must know where is the line (border), where is Serbia and where is Kosovo. The map of Serbia in the U.S. and the map of Serbia in Serbia are different”. He reiterated that, from the perspective of America, Serbia and Kosovo are two sovereign countries.